Online surveys are a flexible and efficient way to collect feedback and data from your respondents, which can be quickly analyzed and turned into shareable reports with actionable insights. We’ve put together 14 key features of conducting an online survey. With an online survey you have complete control over the branding. It’s quick and easy to add your logo and colors, and create a branded URL to share your online survey, so that your respondents can easily identify the survey with your organization. Alan Thompson is Project Officer at Conwy County Borough Council in North Wales. He’s been an enthusiastic user and evangelist for Snap Survey Software in the council for over 10 years. Like many of our customers, Alan has been keen to exploit the full potential of Snap’s survey software solutions, in particular reporting and analysis. When developing new products, businesses want to make certain that their products will be successful. In the initial stages of the new product development process, it is important to implement surveys using an advanced survey software solution. 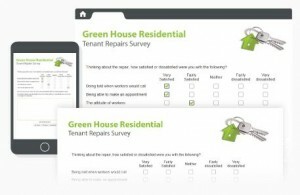 Surveys are a cost effective means for collecting feedback from your target markets. Surveys are designed to collect important feedback that can have a big impact on new product development plans. Receiving feedback directly from potential end users gives product development teams the confidence to roll out new products to market. What is the best survey software solution on the market today? There is certainly not one direct answer to this question, and there is certainly no cookie-cutter solution that will fit everyone’s needs. The key to finding the right survey software solution is to first evaluate your organization’s requirements. Finding the right survey solution is not as simple as focusing on simply the cheapest choice. After reviewing your organization’s needs, you may find that you don’t even need survey software at all. There are many offerings out there that have surveys included in their total system that are ready to go, and you can simply register – often times for free – and start surveying your sample immediately. However, what if your needs are more complex, and you need a more advanced survey software solution – one that is a total system capable of design and administration, to data analysis and sophisticated reporting? Snap Surveys has just released update 10.24 for Snap 10 Survey Software. 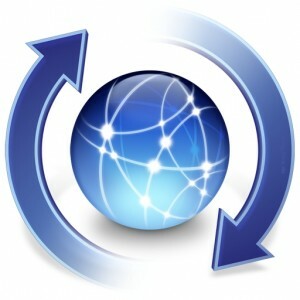 If you are a current user, click here to update to this latest version. You will need your Install Code and Build Number to complete your update. The build number can be found by running te software, then clicking on Help | About. The build number (e.g. 9.19 for Snap 9 or 10.10 for Snap 10) is shown towards the top-left of the dialog. Scanning is the most cost effective and efficient method of gathering large volumes of data from paper surveys. However, some organizations prefer manual data entry, or to outsource data entry entirely. Snap Survey Software is one of the few survey software providers that offer muli-mode survey creation. Snap Survey Software facilitates the collection of survey response data from multiple data collection sources, and merges survey data into a single dataset ready for complete analysis. For example, you can administer one survey via mobile devices, online, and paper simultaneously – and collect and merge all survey response data into a single dataset ready for complete analysis. A multi-mode approach to survey administration and data collection can help maximize your survey response rate, and help you communicate with hard-to-reach respondents. Here at Snap Surveys, we provide you with survey software solutions necessary to create engaging online surveys. Now, engaging with a diverse survey audience just got easier with the addition of Snap Panel Samples. Snap Panel Samples allow you to send online surveys to a broad range of respondents or a more targeted group of respondents. You can specify the demographics or behavioral characteristics that you need, and buy it directly from Snap Surveys via Snap WebHost, Snap’s online survey management and analysis system. It’s that easy. Snap Panel Samples draw from the resources of our partner Cint, a global company, providing panels of online respondents for survey completion. You can buy access to a panel of respondents supplied by Cint for any online survey created in Snap WebHost. You do not need to set-up a database link or set up paradata for the panel.